This PDF 1.3 document has been generated by Arbortext Advanced Print Publisher 9.1.510/W Unicode / Acrobat Distiller 7.0 (Windows), and has been sent on pdf-archive.com on 07/04/2012 at 18:52, from IP address 31.175.x.x. The current document download page has been viewed 1008 times. File size: 365 KB (8 pages). temporal and centroparietal regions, appeared to be functionally distinct. Key Words: EEG synchronization, Emotional state, Mood, Activation, Buspirone, Diazepam. Nijmegen, The Netherlands; and §Department of Psychiatry, Jagiellonian University School of Medicine, Krakow, Poland. Ingardena 6, Krakow 30060, Poland; e-mail: miroslaw.wyczesany@uj.edu.pl. which is rather stable across different experimental conditions, indicates the existence of cortical correlates of subjective states. level of interaction of two signals measured by separate electrodes. analyses. Synchronization can be considered as an index of functional integration between distant cortical areas (Varela et al., 2001). previous data (Wyczesany et al., 2010). with a decrease in either whole b or only high b has been reported. Holland et al., 1994; Murasaki et al., 1989). (within an area) and long (between areas) ranges. yields scores on three subscales: EA, TA, and hedonic tone (HT). recorded, followed immediately by a second UMACL assessment. group versus the CTR group. tests to ﬁnd any group differences in baseline synchronization level. Hochberg, 1995). The P levels reported are corrected values. subjective scores within the groups are shown in Table 1.
spectral power effects were found for buspirone comparisons. synchronizations. No correlations were found between EA estimation and SL level. observed (Fig. 2; Table 3). distribution between experimental groups (x2(2) ¼ 0.121; P ¼ 0.94). were found for the higher b-band (24 to 30 Hz) (Fig. 3; Table 4). changes caused by medication (Holland et al., 1994). DZP group. Solid lines represent positive correlations, while dashed lines represent negative correlations. effects more difﬁcult and ambiguous. as a whole is questionable. center could be observed over the right posterior sites (CP2 and C4). BSP group. Solid lines represent positive correlations, while dashed lines represent negative correlations. support for distinguishing the described cortical emotional areas. however, the C4 electrode was still a center of synchronization. effect is absent in the control group, remains unclear. low frequencies, particularly those covering the a-frequencies. behind this is not completely clear. *P # 0.05; all P levels are adjusted by the False Discovery Rate procedure. the temporal center is associated with negative emotional arousal. inferring functional cortical dependences in emotional processes. Barry RJ, Clarke AR, Johnstone SJ, et al. Adjusting EEG coherence for interelectrode distance effects: an exploration in normal children. Int J Psychophysiol 2005;55:313e321. and arousal in attention-deﬁcit/hyperactivity disorder: evidence of independent processes. Biol Psychiatry 2009;66:398e401. functioning: an integrative theory. Int J Psychophysiol 1997;26:5e29. EEG. Eur J Clin Pharmacol 1983;24:463e467. Coenen AM, Van Luijtelaar EL. Pharmacological dissociation of EEG and behavior: a basic problem in sleep-wake classiﬁcation. Sleep 1991;14:464.
emotional processing: historical roots and a future incorporating “dominance”. Behav Cogn Neurosci Rev 2005;4:3.
central nervous system is associated with daily ratings of positive mood. broad band spectral parameters of the EEG. Electroencephalogr Clin Neurophysiol 1982;53:119e124. and happiness in healthy women. Am J Psychiatry 1995;152:341.
intensity regression approaches. Neuroimage 2005;27:26e36. differences in functional connectivity: evidence from MEG recordings. Neuroimage 2006;30:245e253. artifact. Electroencephalogr Clin Neurophysiol 1983;55:468e484. Handy TC (Ed). Brain signal analysis: advances in neuroelectric and neuromagnetic methods. MIT Press; Cambridge, 2009.
personality, and arousal. 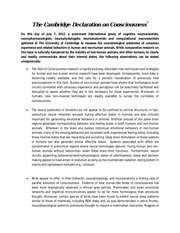 Neuropsychology 2009;7:476e476. Holland RL, Wesnes K, Dietrich B. Single dose human pharmacology of buspirone. Eur J Clin Pharmacol 1994;46:461e468. sadness, and disgust. Am J Psychiatry 1997;154:926e933. the visual cortex: an fMRI analysis. Psychophysiology 2001;35:199e210. UWIST mood adjective checklist. Br J Psychol 1990;81:17e42. as a function of task complexity: evidence for local and distant signal synchronization. Brain Topogr 2003;15:239e247. linear EEG-complexity in the theta band, heart rate and electrodermal activity. buspirone. Prog Neuropsychopharmacol Biol Psychiatry 1989;13:137e144. Olkkola KT, Ahonen J. Midazolam and other benzodiazepines. Handb Exp Pharmacol 2008;182:335. Phys Plasmas Fluids Relat Interdiscip Topics 1995;51:980e994. alpha- and gamma-oscillations in neocortex: a mechanism for selective perception and stimulus binding. Acta Neurobiol Exp (Wars) 2000;60:123e142. Varela F, Lachaux JP, Rodriguez E, Martinerie J. The brainweb: phase synchronization and large-scale integration. Nat Rev Neurosci 2001;2:229e239. Wyczesany M, Kaiser J, Coenen A. Subjective mood estimation co-varies with spectral power EEG characteristics. Acta Neurobiol Exp (Wars) 2008;68:180e192. Wyczesany M, Kaiser J, Barry RJ. Cortical lateralization patterns related to selfestimation of emotional state. Acta Neurobiol Exp (Wars) 2009;69:526e536. This file has been shared by a user of PDF Archive. Document ID: 00038147.